Is it easy for you to live in the moment and enjoy the life you have, or do you constantly find yourself anxious and dissatisfied with your current situation? Today’s guest knows firsthand how it feels to always be searching for something else. 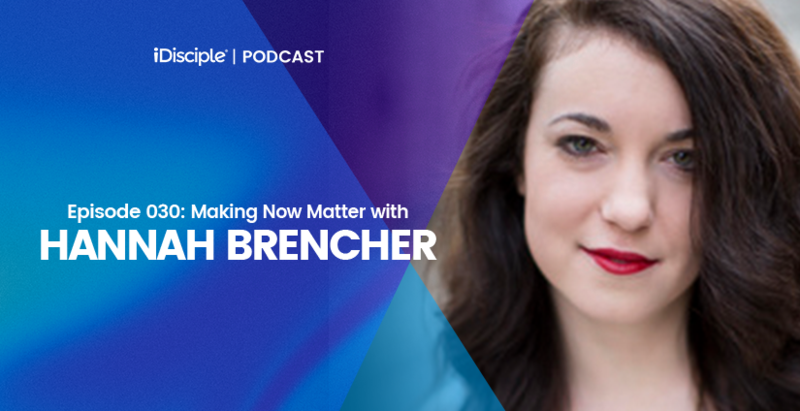 After a successful start in her career as an author and speaker, Hannah Brencher moved to Atlanta and found herself in a state of anxiety and deep depression. It was during this season of her life that Hannah learned what it meant to find purpose in the present and to stop chasing after the next big thing. Hannah is joining us on this week’s episode to introduce our listeners to Come Matter Here, her new book chronicling her struggles with anxiety and identity. We’re thrilled to have Hannah on the show to have a candid and powerful conversation about mental health, living in the moment, and what it means to seek God’s purpose no matter our circumstances. We hope and pray that this conversation inspires you to pause and reflect on where you’re at in life and that it encourages you to seek God’s purpose even when things aren’t working out how you hope! Hannah tells the story behind her first book and the TED Talk that helped launch her career, and why she’s concerned with the disconnect generations are starting to have when they focus entirely on the digital world. What it means to “be where your feet are”, and how it relates to pursuing what God has for us in life. How God refines us through the difficult seasons much like the way gold is stripped of impurities in fire. The connection between her story and the biblical story of Job, and why our listeners should find the reason and purpose in our pain. Hannah shares the candid truth about how anxiety and depression took over her life out of nowhere, and how it taught her the importance of talking about mental health issues. How she was able to embrace the fact that God was good even if she was not healed. Why it’s easier to “flush the fish” instead of committing to take care of it, and how she learned to take responsibility in her life. If you would like even more resources on finding your purpose or dealing with mental health struggles, download the iDisciple app! Since 2013, iDisciple has been leading people into a closer relationship with God through music, sermons, and devotionals, all in the palm of your hand! Check out www.idisciple.org to learn more, and sign-up for iDisciple today.